How authentic blogging can help heal. 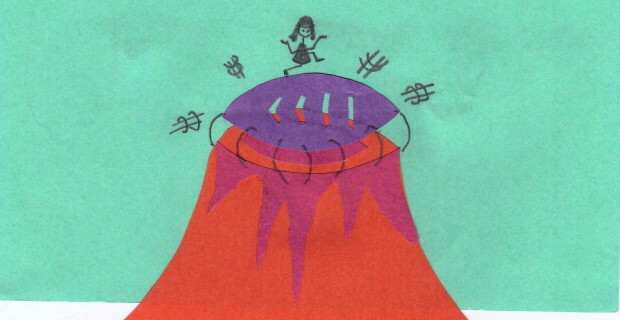 Stepping onto a gossamer trampoline stretched over a huge volcano is how writing my blog feels. Really! This strong mental image sprung forth unannounced as I tried to rationalize how I felt about the online reaction to my post: Grief for pets – an observation. It was far beyond anything I expected. Something in that post resonated with people. From two tweets, it was shared across a number of social platforms and a huge number of people (to me) visited my blog to read that post. I wrote it to honour my bond with, and love for, Miss P. So it was very emotional to have those particular words recognized and valued. I felt a connection, both to the truest part of myself and that of others. It was all the more surprising because very few people know my blog exists! I haven’t done much to publicize it. In fact I’ve almost shied away from extending blog reach, I’ve been very half-hearted about that aspect. Ironic given it’s not like I don’t know how to do that, building brand communications is a part of my day job. My reaction was primarily positive, but it also carried a side order of worry reflecting my inner conflict about the blog: I’m sometimes scared to write, yet feel it so essential. I’m delighted and emotional when others appreciate something I’ve written, yet simultaneously scared to be too visible, say too much, be wrong. I’ve created a blog, yet keep it under the radar….I could go on. 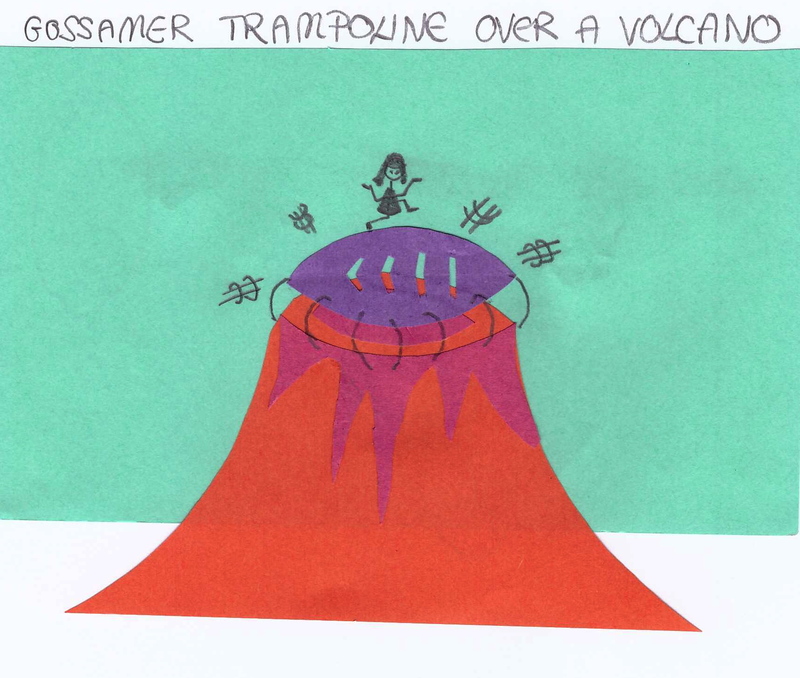 Which is where the gossamer trampoline over a volcano appeared…. Since being drawn to re-start this blog authentically, post-illness, including the whole, it has become a place to try out my ‘new’ voice. The voice of the re-built person I am becoming, the person I have always been. This is still a very new thing for me to do, but the more I do it the more I know it helps neutralize the inner critical voice, the one the bad stuff formed, the one that ultimately led me to illness. The gossamer gauze-like, semi-transparent fabric feels fragile, as if this is all that separates me from the fiery hell below. Yet it is also a trampoline, typically made of fairly strong material, certainly strong enough to take one (or more) human(s) weight and supported by springs that give the whole thing its elasticity. Crucially, it’s therefore stronger than it looks. Every time I venture out onto this trampoline it becomes stronger, my confidence increases, enabling me to bounce further away from this volcano, ergo, the danger, the deep cesspit of a wound I’m trying to transform. Therefore people’s reactions to that post have been incredibly encouraging. It has amplified the importance of authentic blogging to me in my healing effort, provided reassurance that how I feel about important things can be valid, and allowed me to let myself feel linked and supported. Perhaps with time I will make more effort to be less under the radar!